Planetary nebulae (PN) are fascinating objects that come in numerous forms of appearances. Besides the well known grand four Messiers (M27, M57, M76 and M97), there are hundreds more to explore. This article suggests two PNs, a pretty bright and easy-to-observe one and a harder one for the more ambitious observer who is equipped with a big scope. Even though its catalog number might not ring a bell, NGC 2438 is a very well known planetary nebula. This is due to the fact that it is located “in” the open cluster M46. 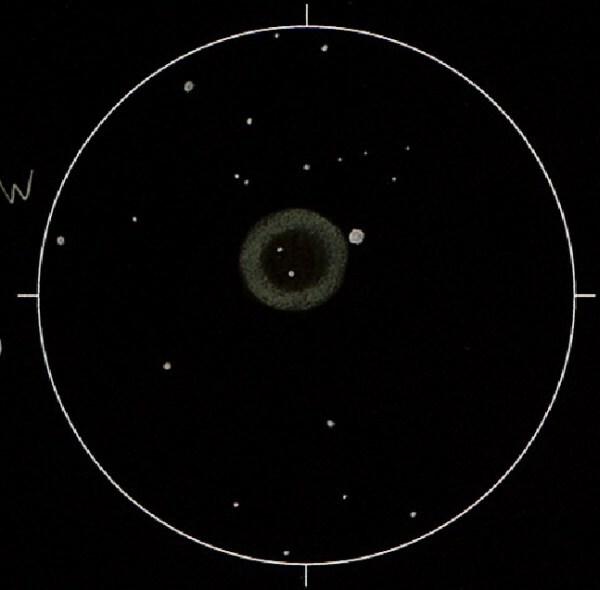 Seldomly, one has the chance to observe different types of objects at the same time in one field of view (FOV) – M46 is probably the best example how stunning our universe can be – and you can observe it. 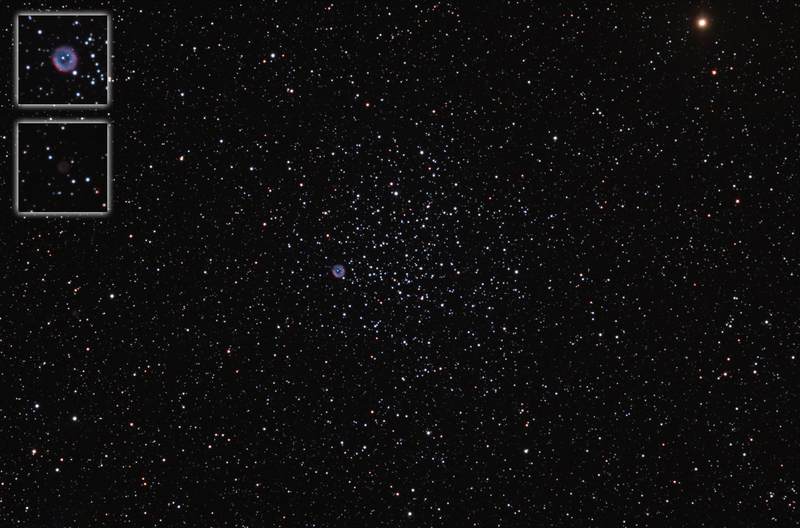 M46 is a naked eye object under a reasonably dark sky. It is located in Puppis, approximately 14° east of Sirius (alpha Canis Maioris), the visually brightest fixed star on our night sky. The finder charts show its location. 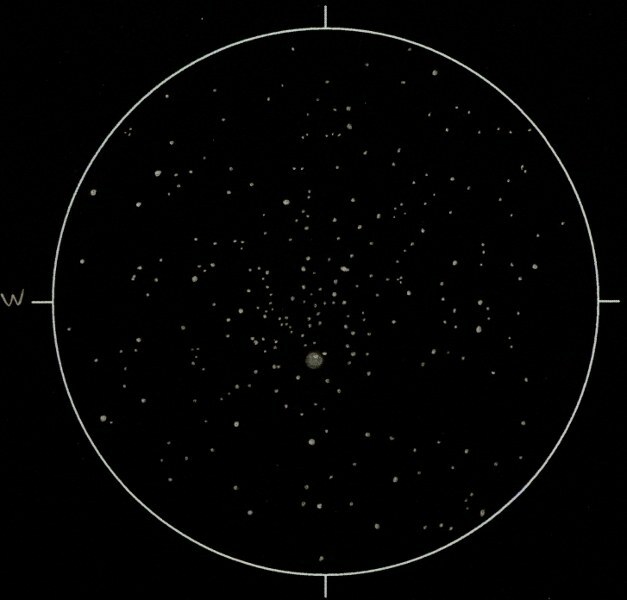 A two inch telescope should already be able to show the PN in the rich open cluster which mainly consists of stars of equal brightness. However, the bigger your aperture, the better the view, of course. 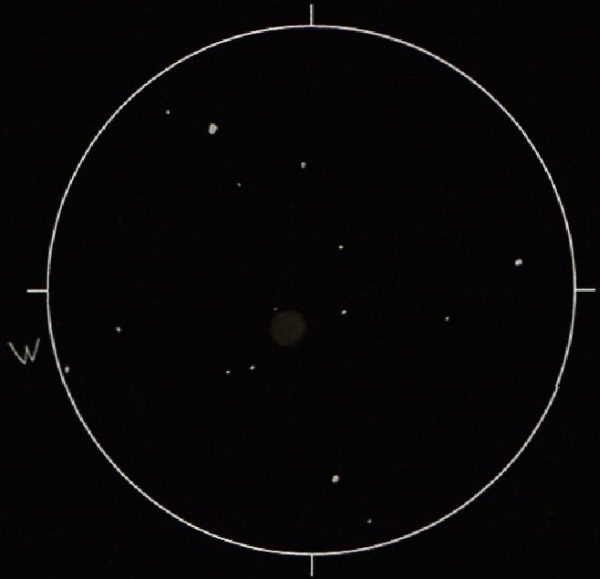 I observed M46 in early November at Geology Vista under a good sky (faintest star / fst 6m4) with a 16” Dobsonian telescope. NGC 2438 turns out to be a fascinating object when a high magnification is used. The PN is a classic ring with two fainter stars in the disk and a bright one just outside to the north-northeast. It is apparent that none of the two stars is the central star. This one has an apparent magnitude of 17m7 and would require an aperture of 24” or more. The inside is a little brighter than the background, resembling the famous Ring Nebula. I could not see any other features. But wait up! There is more to explore. Less than half a degree to the north there is the PN PK231+4.1. With 14m4 you will need some aperture to detect it. I was able to definitely see it with the 16” at Geology Vista (fst 6m4). However, I had to apply some “tricks”. First of all, an OIII filter seems inevitable. Without the filter I could not see anything except for quite a nice field of stars (we are looking directly into the winter milky way). Averted vision made the difference between suspected and definitely seen. It was evident that I came close to what I could achieve with my telescope in that night. Therefore, I covered myself with a black cloth in a way that absolutely no light from the outside could reach my eyes (except for the eyepiece´s FOV, of course). This eliminates distracting influences. Furthermore, you will need time. Do not panic if you cannot see the faint fuzzy blob immediately. It took me a couple of minutes to find and see it. Once you have it, it will stay. My notes to PK231+4.1 are: Challenging, needs OIII filter, averted vision and black cloth. Circular in shape, homogeneous, no central star, faint star just north of the disk, nice field of stars. Both objects can be seen in January around midnight. Go out, observe and have fun!